In the early days of model rocketry, there were frequent accidents when model rocketeers were mixing their own rocket fuel and making their own model rocket motors. 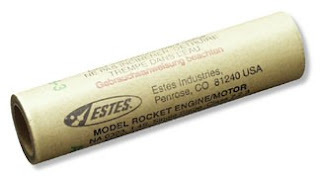 Today, thankfully, model rocketry has an extremely good safety record, thanks in a large part to the introduction of mass produced, solid fuel model rocket engine by makers like Estes. 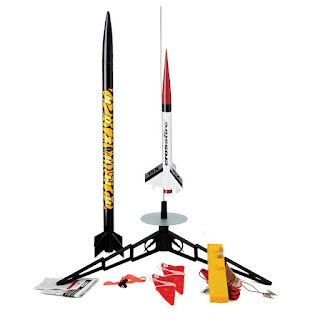 A modern Estes engine is very reliable and it’s very stable and, because of that, young model rocket enthusiasts can get all the enjoyment out of building and flying model rockets, without the risk that is involved in attempting to build model rocket engines from scratch. Although model rocket engines are very safe, you should never try to cut open one or attempt to modify it, because the solid rocket propellant inside could ignite at any time. More experienced rocketeers do make their own rocket engines, but beginners would be better advised to stick to using the manufactured rocket engines. The Nozzle is a relatively straightforward part of a model rocket engine that increases the speed that the hot exhaust from the propellant is expelled from the rocket, which is what creates thrust. The nozzle is usually made from ceramics or clay so that it can withstand the heat of the exhaust. Standard model rocket engines, such as Estes engines, use black powder as the propellant, which is a mixture of sulphur, charcoal, and potassium nitrate. Black powder is usually used in all the standard model rocket engines. 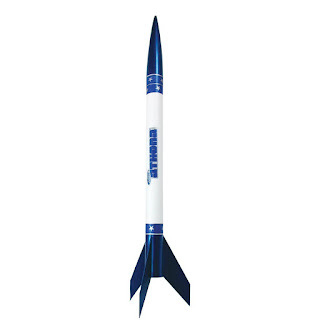 In the most powerful rocket motors, a composite propellant, which is usually made of aluminium powder, ammonium perchlorate and a rubber binding ingredient, is used. 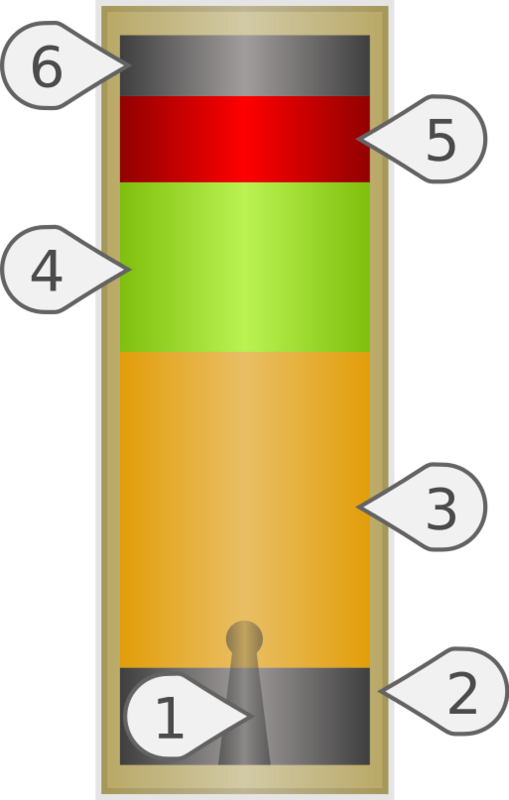 After ignition, the flame burns its way from the bottom of the propellant (3) to the top, creating thrust as it goes. When the flame reaches the top of the propellant, it ignites the delay charge. The delay charge produces smoke and flame, but no thrust, so the rocket coasts the rest of the way to its maximum altitude, or apogee. The length of time that the delay charge will burn varies by engine type, but it is usually between 2 and 8 seconds. When the delay charge has been used up, the flame will ignite the ejection charge, which produces a small explosion that ejects the nose cone. The hot gases from the election charge could ignite the recovery system, which is why flame retardant recovery wadding is used in model rockets. The end cap is simply there to keep all the other components securely in place inside the model rocket engine casing. This is what is inside a standard, single use, model rocket engine. Please remember that model rocket engines are safe and stable when stored properly, but you should never attempt to open one up to see what’s inside a model rocket engine yourself. 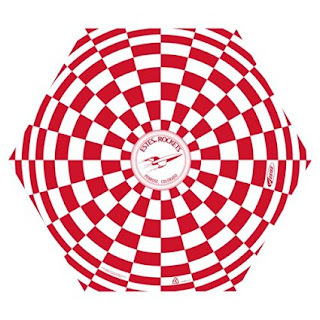 Stay safe and have great fun flying your model rockets! Full range of Estes engines at low prices here!